Classical mistake of routing a QR scan to a tiny fill-in form, but this one adds another twist. 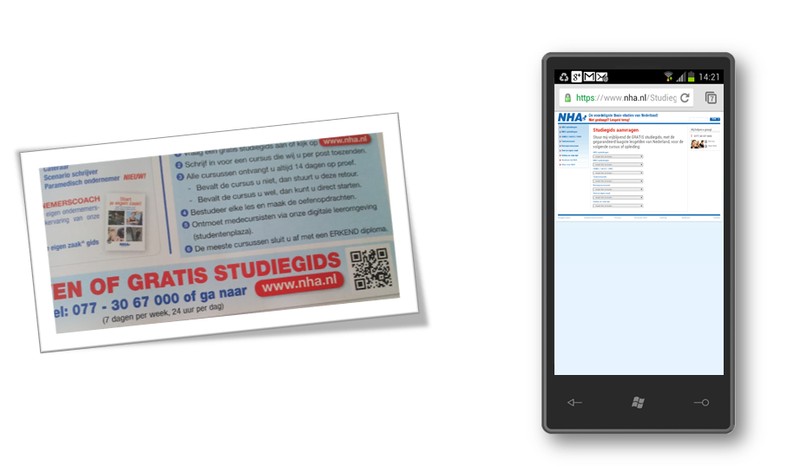 Why link to a request form of a paper study-guide while you could present the whole thing in digital on the phone (or at least as download). It’s not like home-study colleges need to be first-in-class when it’s about online presence & presentation. Right?